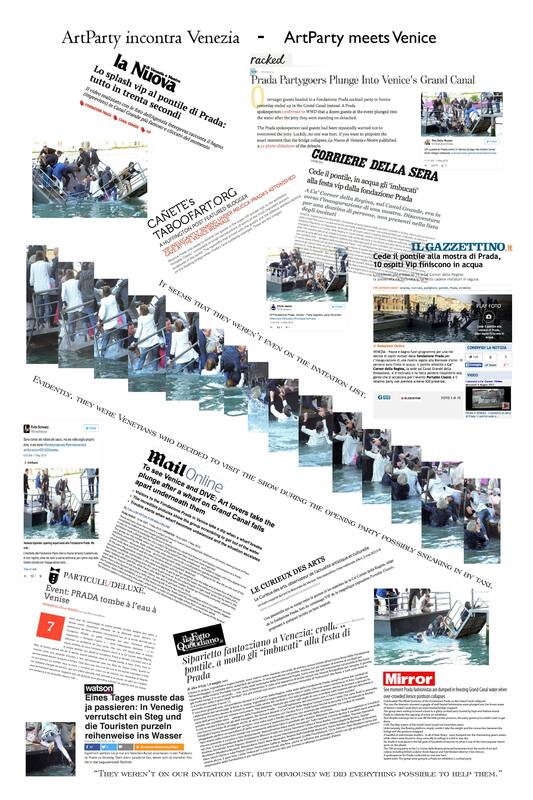 The work is a digital collage of news reports, tweets and images taken during an art party at the Fondazione Prada on the occasion of the 2015 Venice Biennale preview week. A bridge collapsed during the party and some of the party goers took a dip in the Grand Canal. The collage looks at how the Fondazione Prada reacted to the incident and how it was reported in the local Venetian and international press.